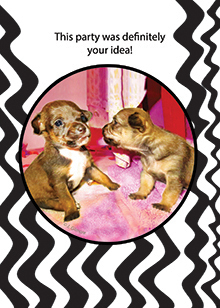 Hello, we're Frida's pups! This is us at our foster home when we were little! "This party was definitely your idea!"